Beaming Wellness is a group of Organic Superfood Cafes in Southern California. We have 3 locations in San Diego, 4 locations in Los Angeles, and we are growing! Beaming is a brand with its’ roots firmly planted in the pursuit of true vibrancy and a lifestyle of wellness. In 2011, Beaming was founded with the intention of helping people realize the power of food as medicine and that what you eat and drink really matters. As people began to experience the power of this truth through our food cleanse program, they wanted the delicious foods, juices and smoothies every day. Thus, Beaming’s first retail store in Del Mar was born in December 2012. With a line outside the door from the day we opened, the opportunity to grow Beaming nationwide has never been greater. While there are juice bars opening across the country, Beaming’s unique gourmet healthy fast casual experience is felt the moment you walk in the door and even more so upon tasting anyone of their delicious juices, smoothies and foods. Life is better when you’re beaming. Powered by purity and simplicity, we believe what you put in your body is what you get out of it. 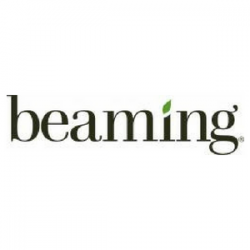 The mission of Beaming is to provide you exactly what you need to live a balanced, healthy, joy-filled life. We embrace organic plant-based nutrition and offer wellness inspiration to change lives. We invite you to Live Beaming and experience pure, organic joy.